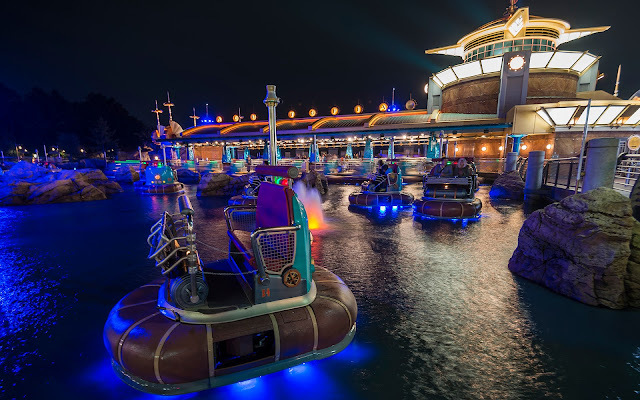 As fun and whimsical as Tokyo Disney Sea's Aquatopia can be during the day time, it takes on a new character at night. 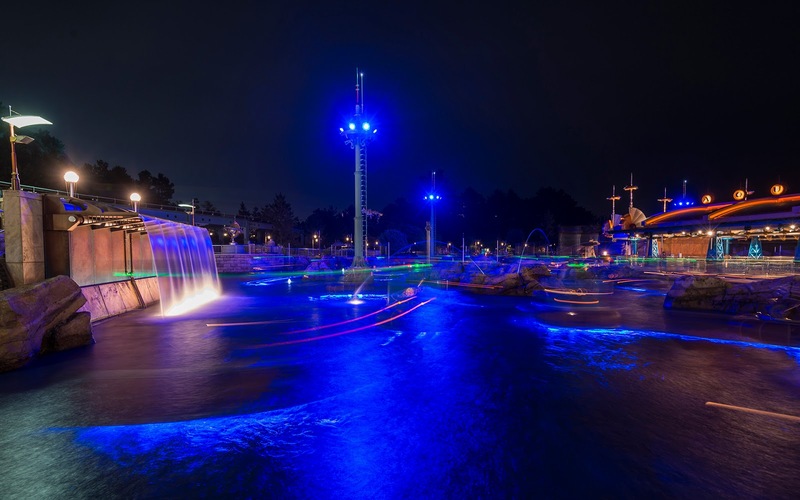 With a cool cast of illumination and flowing waves of light, Aquatopia feels much more futuristic and cool. That's not to say that it's not cool by day. 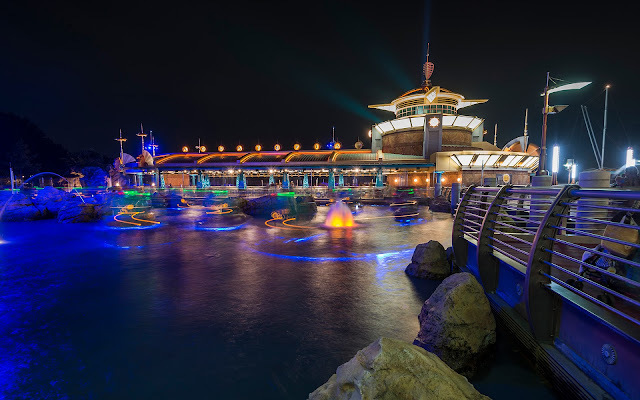 But as with most Disney park things, nighttime really brings out an extra layer of magic that just doesn't occur when the sun is out. Add to that the opportunities afforded by the play of light, and you have wonderful attraction with added dimension after dark!